Fittingly enough, The Letter is essentially a love letter to Japanese horror films like Ju-On: The Grudge and The Ring. This visual novel is the first game from Filipino developers Yangyang mobile, and it’s certainly an ambitious undertaking – I’ve never seen a visual novel with such a wide diversity of branching paths. Cause and effect is the major strength of The Letter, where tiny decisions can have massive consequences down the line – character relationships can make or break a playthrough. Because of this, the amount of replayability is phenomenal, especially if you’re a completionist – there are hundreds of different events to trigger. The game follows seven protagonists, who each have their own chapter, and because of this changing perspective, events don’t often happen consecutively. Thankfully the developers had the foresight to include a journal which catalogues the events of the game in order, as well as making sure that relationship values between characters were easily viewable. If these had been kept a mystery, keeping on track to certain outcomes would be frustrating, since quite a number of them rely on how much one character cares for another and the most innocuous conversation could cause a drastic shift. The premise is loaded with stock horror tropes – a group of young people all wind up visiting a haunted mansion where they find a cryptic letter. After reading it, they are all cursed and are then stalked endlessly by Takako, a violent ghost who is basically the twisted lovechild of Samara and Kayako Saeki. While the setup is basic, there is something nostalgic in how familiar it is. It also helps that character development goes much deeper than just imitating tropes – none of the playable cast are flat or one-dimensional, and their behaviour can vary wildly depending on their circumstances. Admittedly, some elements can be a little clunky. The voice acting features some hilariously wobbly attempts at British and Scottish accents, and Takako’s always far more creepy when she’s smiling rather than sporting the toothless open mouth she often does. These kind of became charming the more I played, however, and they stop being distracting surprisingly quickly. The Letter barely ever relies on jumpscares for a cheap shock, preferring to delve more into psychological horror and the feeling of being pursued. QTEs might have become a cliche in the wake of Telltale’s success, but the ones used here are extraordinarily well executed, partly because of their difficulty: there’s not much “press X to not die” here, but rather a wide variety of increasingly difficult button prompts. They’re skippable, so you can never get truly stuck on one, and there is an option to switch to easy difficulty to give yourself more time. There was a lot of heart and a lot of hard work put into this game, and it really shows. 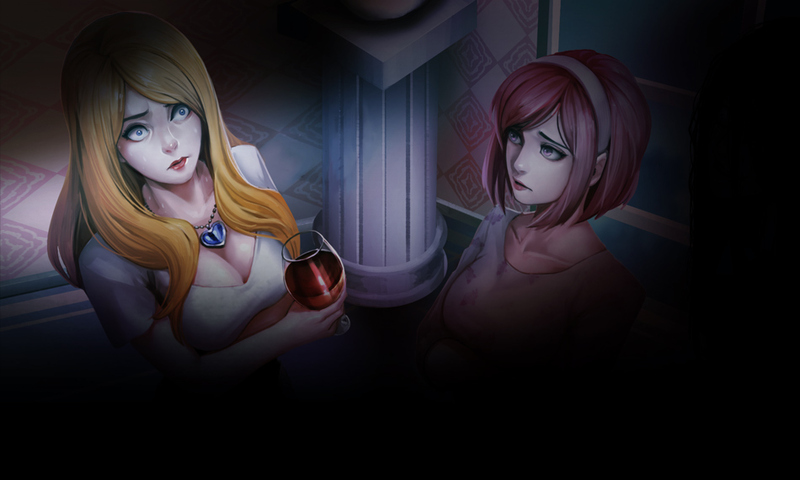 It’s well worth picking up if you’re looking for a horror fix, or you want something more interactive than a typically kinetic visual novel.